If you have a kid, you know how they always ask so many questions about…everything. 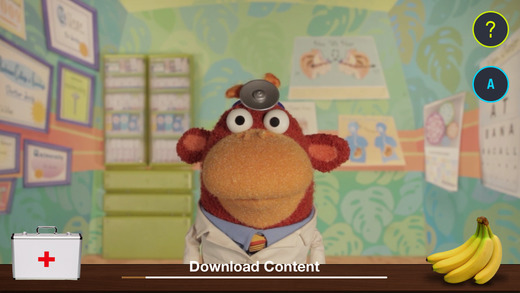 Dr. Jocko is an app that combines humor and education in a form that any kid will enjoy. 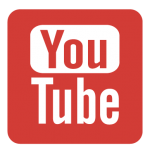 Dr. Jocko has a bunch of little videos about various health-centered topics. There are even pre-programmed questions you can ask Dr. Jocko if the user clicks the little white and red briefcase. If the user clicks the bananas, there’s even more content. 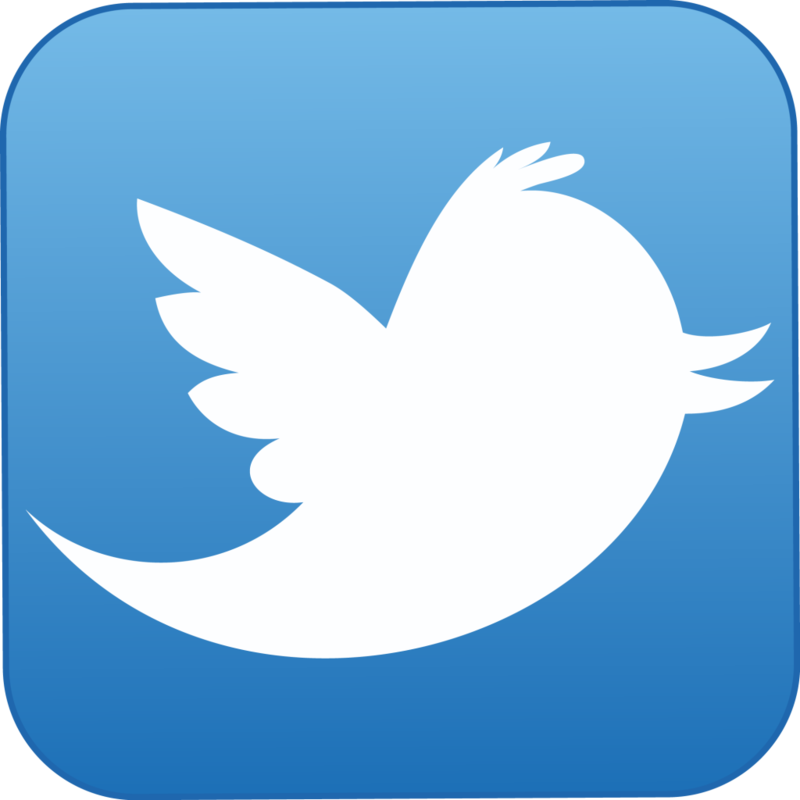 What’s also really neat is that you can interact with the app in many ways. 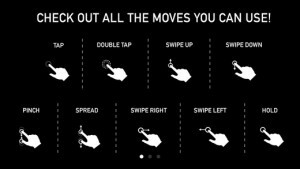 There are different taps and swipes you can use within the app, which makes it very engaging for kids to experiment with! The videos within the app are long enough to contain a bunch of entertaining information for kids, but also short enough to keep their attention. It’s really a great app for kids that’s actually going to teach them good things about their health, rather than mindless tapping like many other apps have. Check it out! 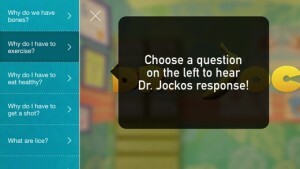 Dr. Jocko has an app! Now he can help more kids learn about their health. He can also make them laugh, especially with the help of his best friend and number one patient, Rocko. Laughter is the best medicine and it’s free, just like the app!